“He liked animals, period. Particularly underdogs,” his widow, Barbara, told the Palm Beach Post in 2011. 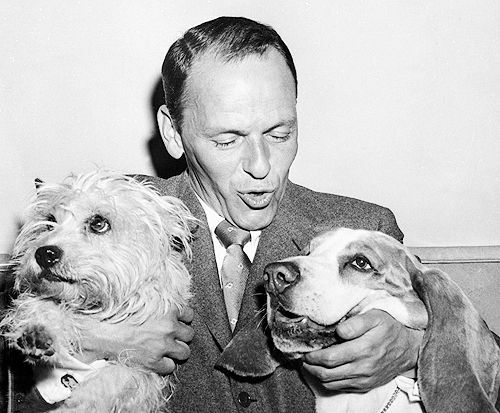 The Sinatras had dogs, cats and horses. 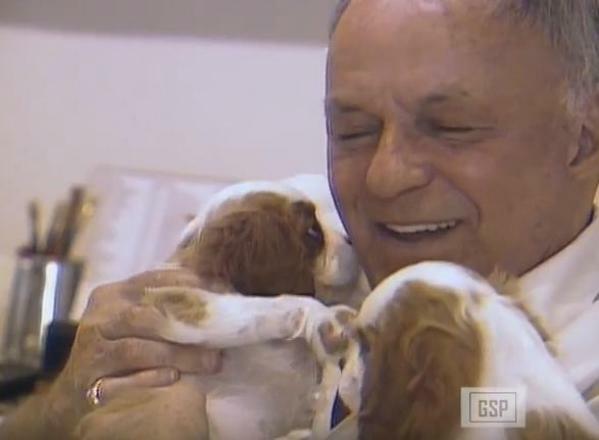 Sinatra had an especially soft spot for Cavalier King Charles Spaniels. 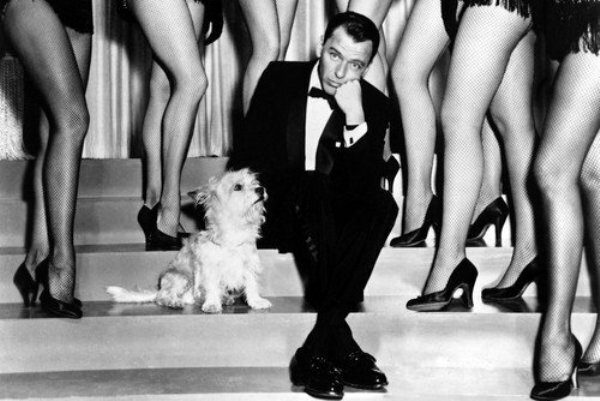 When Sinatra died in 1998, several mementos were placed in his coffin. “My contribution was a small dog biscuit, for Dad’s love of little critters,” Tina wrote. 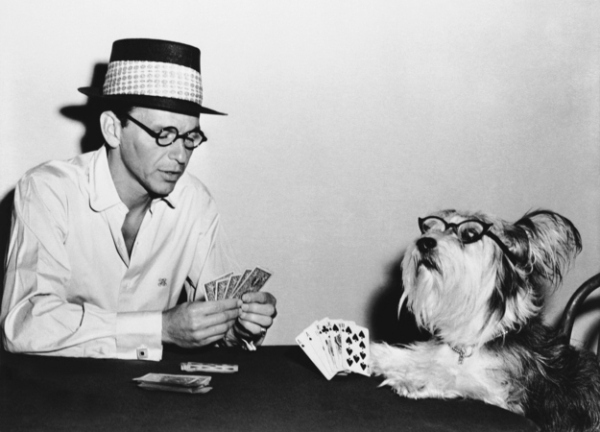 I wish Sinatra a very happy birthday. I’m a huge fan of his, as was my mom, who as a teenage bobby-soxer ditched high school to see her idol perform at the Chicago Theater. “The Summer Wind” was one of her favorite Sinatra tunes, and I can fondly recall her and my dad (a non-fan who called Frank “Snotnose,” LOL) slow-dancing to it on the living room floor. I’d like to dedicate this to the memory of all three of them. Rest in peace, up there where all the animals go. * This is an affiliate link. If you buy this item from Amazon, i Still Love Dogs will get a small portion of the purchase price.